2K fans around the world will be able to try out NBA 2K18 for free this week, as the demo goes live today on Xbox One and PlayStation 4. The file size is around 12 GB depending on the platform, and will give players a head start on their MyPLAYER career for free. If you're having trouble finding 'NBA 2K18 - The Prelude' on PS Store, just go to all games and sort it by newest first and you can download it from there. The demo is free to all, so you don’t need a PlayStation Plus or Xbox Live Gold subscription to jump in and play. 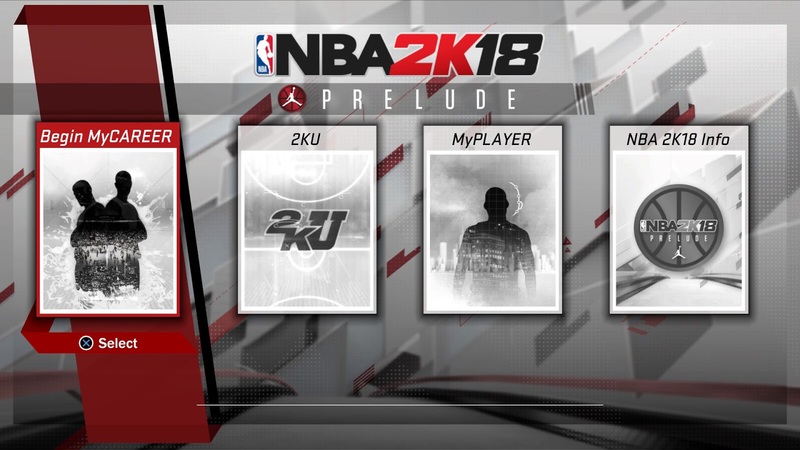 Note that you can only play through The Prelude once, but your created MyPlayer will carry over to the full game. “Fans can get an early taste of NBA 2K18 with this free, downloadable experience that begins their journey into The Neighborhood, the groundbreaking new way to play NBA 2K” . The Neighborhood brings together the most loved elements of NBA 2K together into a shared world for players to truly experience the life of an NBA athlete, both on and off the court,” the official prelude description explains. NBA 2K18 officially launches for PS4, PS3, Xbox One, Xbox 360, Nintendo Switch and PC on September 19, 2017 worldwide. Fans who pre-ordered the game can start playing on September 15th.